Receive a free pdf of the chapter Pilate meets his destiny. Then, find out why Reza Aslan (author of Zealot) is wrong and Rick Michels is right regarding Pontius Pilate and why the sentencing of Jesus at his hands is accurate. click contact in the menu above and email me. 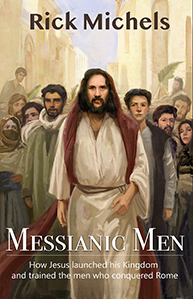 Next Q &A #1: Why did I write Messianic Men?